In Spring 2017 you’ll be able to experience our latest big attraction, our NEW Family Swimming Pool. Complete with interactive water features, themed children’s splash zone, unique water slides, water fountains and NEW Aqua Jets activity! 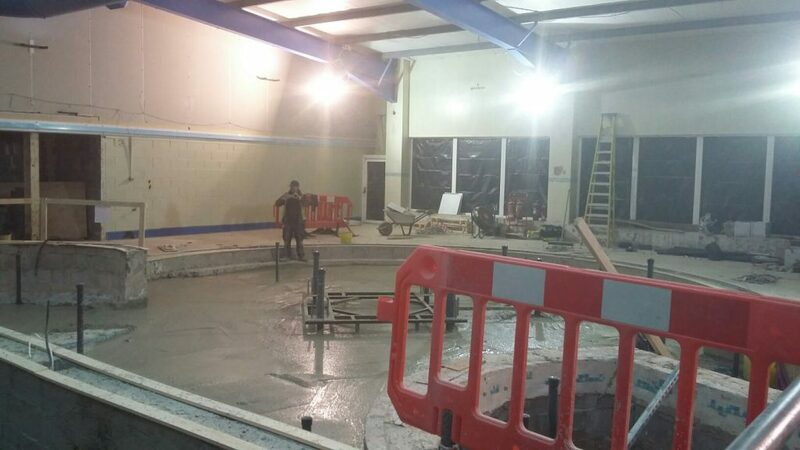 Work is well underway and there has been some great progress made so far on transforming our popular family pool into an exciting, modern lagoon style pool environment. World Leisure, the specialist design technical and installation company, and a team of approximately 15 contractors, have already changed the family swimming pool beyond recognition. We are now moving into week 3 and the foundations for the large interactive splash zone are now in place. 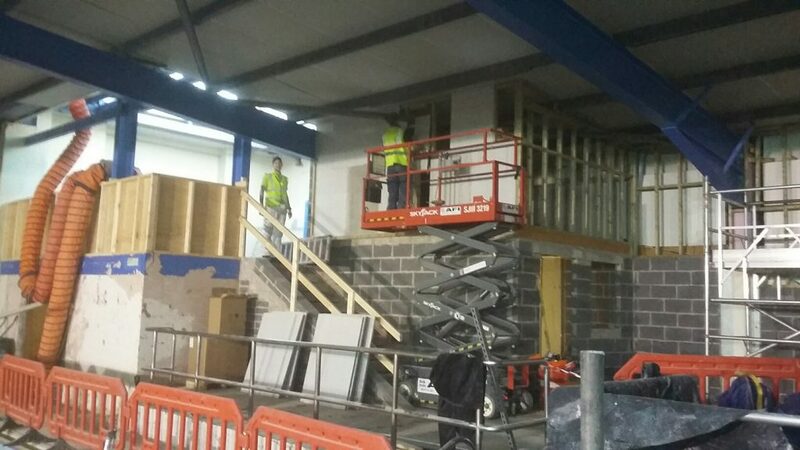 The new wall has been erected to partition the swim pool from the splash zone and will soon by tiled. The first aid room is being relocated to make room for a new high-tech plant room to supply the water for the splash zone. The contractors also wasted no time at all taking the old showers apart to make way for an improved and much wider shower facilities. Meanwhile the steps that will lead guests to the new water slides have also now been built and are waiting the arrival of the purpose built slide pieces. It’s all very exciting and we can’t wait for the work to be completed this spring! We’ll be sharing more details on the new pool features at a later date and you can follow all the developments here on the blog, Facebook and Twitter.